It is suitable for use in automotive gasoline and diesel engines including turbo charged and intercooler where the manufacturer recommends ACEA A3/B3, C3 or earlier specifications. Visco 7000 5W-30 is also approved for use in BMW, VW and Mercedes cars including vehicles equipped with a Diesel Particulate Filter. 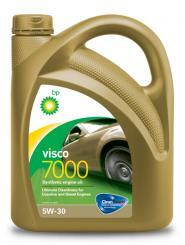 Unbelievable price on BP Visco 7000 5W-30 with CleanGuard™ Engine Protection Technology is a Super Premium fully synthetic engine oil in Kuala Lumpur (Malaysia) company BP Asia Pacific (Malaysia), Company.